Mac Cosmetics has been very busy sweeping up celebrities for limited edition makeup collections. After announcing in January that Kelly and Sharon Osbourne will have their own MAC Cosmetics collection coming out this Spring, they also announced that Lorde will be collaborating with them. The 17-year old songstress from New Zealand has already had a fantastic 2013 and start of 2014. For the 56th Annual Grammy Awards, Lorde received four nominations, in which she won Song of the Year and Best Pop Solo Performance for "Royals", and became third youngest winner in Grammy history, and last month she was chosen as the International Female Solo Artist at the Brit Awards. The limited edition makeup collection is set to go on sale later this summer – Lorde tweeted “Mac x Lorde coming June 5th” and we can expect some very dark lipsticks to be in collection, as the singer is already well-known for her edgy make-up, and her trademark purple lipstick. "I have loved MAC Cosmetics since I was a little kid. I remember saving up to buy my very first MAC lipstick [Snob] at 14, and it was used by about 20 of my friends! MAC has a very clear aesthetic, that has always felt fashion forward to me, said Lorde, whose real name is Ella Marija Lani Yelich-O'Connor. “So I was really excited to work with them on these products, which I use pretty much every day and night. I hope you will too." The singer has already worked with MAC Cosmetics senior artist Amber Dreadon on her own personal look for some time now. 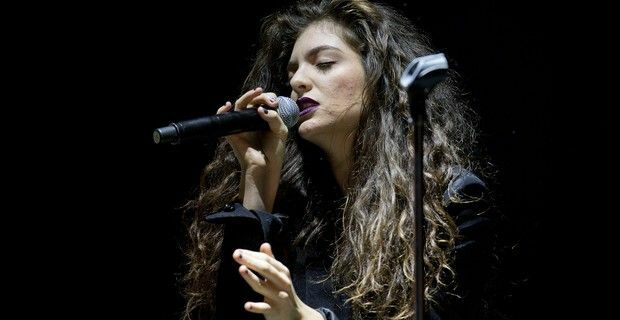 "One of the great things about Lorde is that she is accessible and relatable to people her own age; her look and style are a testament to just that," said Dreadon. The range will be sold exclusively on Maccosmetics.com and in Mac stores.